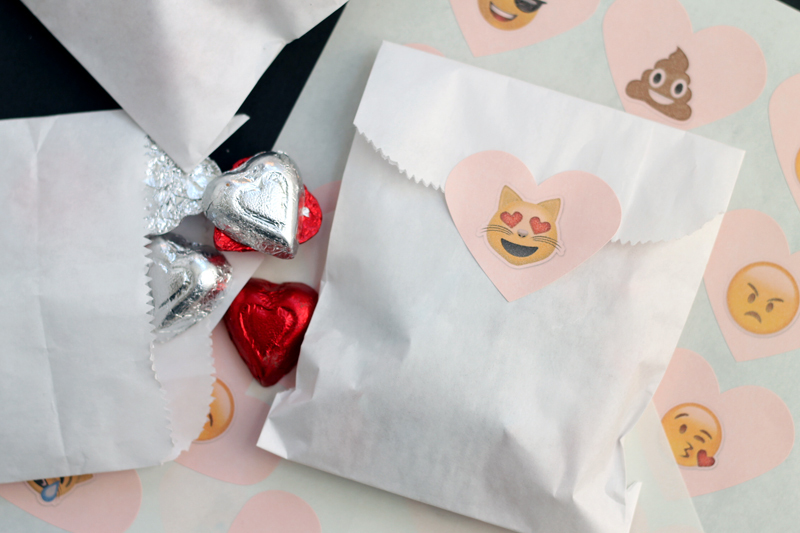 Emoji treat bags are the perfect way to hand out goodies at Valentine’s Day. 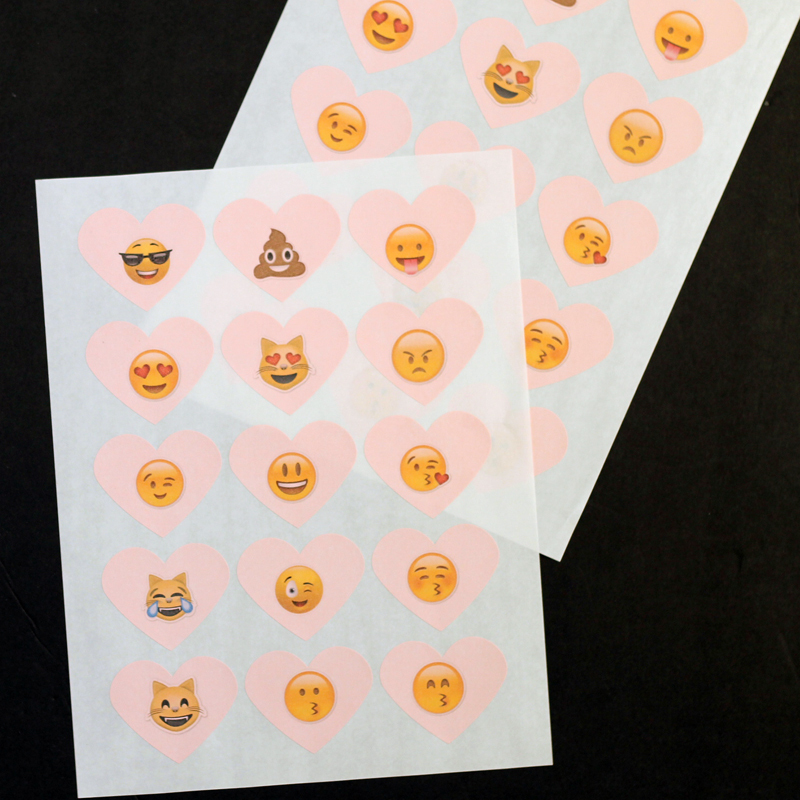 You can print our free printable emoji stickers below then add them to simple treat bags for a one of treat that is perfect for sending to school with the kids. This is a sponsored post for Online Labels however all projects and opinions are my own. This is also a part of the Craft Lightning series were we post 15 minute crafts everyday for a week. This week our theme is Valentine’s Day crafts and you can catch up with the crafts from day 1 and day 2. Then be sure to scroll to the bottom of this post for the crafts from day 3! Print the file onto your sheet of labels. In the image above, I removed the excess material from around the labels so you could see the cute emoji stickers better. Then just peel and stick to any treat bag that you have on hand. I love the pastel pink hearts with the plain white treat bags here. The emojis are perfect for kids of all ages and I am sure they will love then! 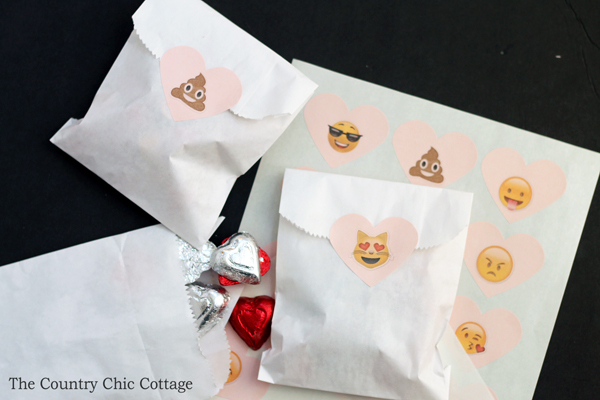 So print your own emoji stickers and make these emoji treat bags for Valentine’s Day this year. These fun bags will be the hit of the school party! Just send any excess stickers to school with your child as I am sure they will love handing them out! 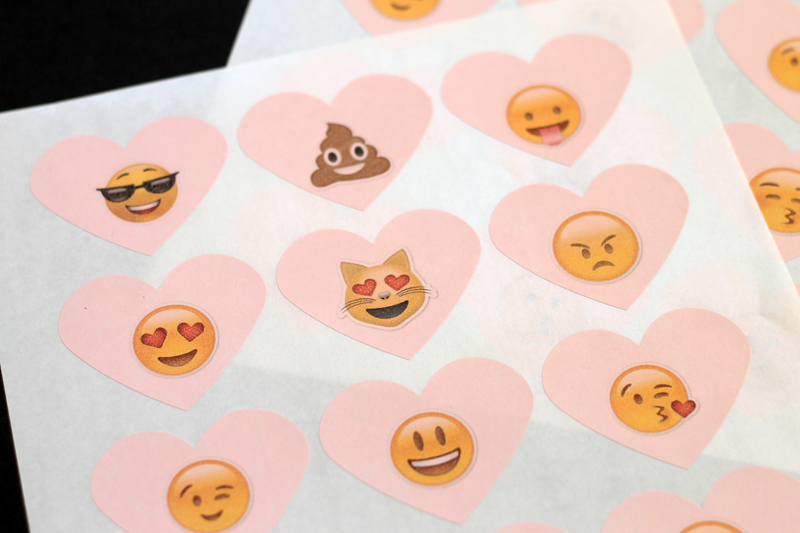 Now for even more fun Valentine’s Day crafts that take 15 minutes or less to complete. 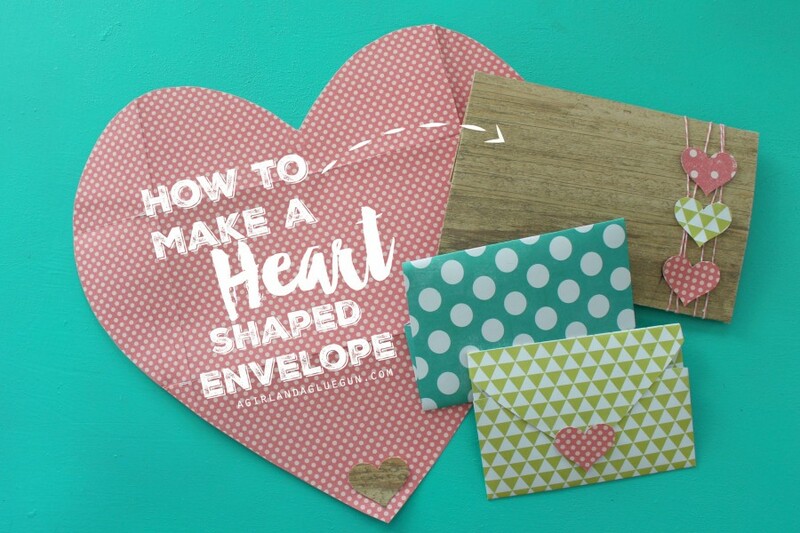 First up is A Girl and A Glue Gun with these fun heart shaped envelopes! 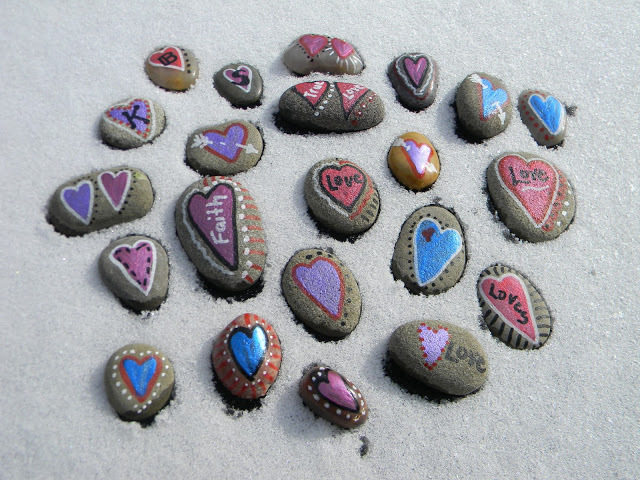 Paint some rocks like these from Artistic Endeavors. 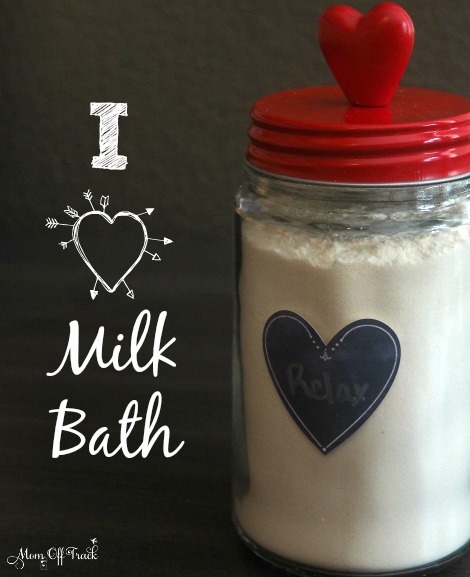 Mom Off Track is showing us how to add some milk bath to a jar for a great gift idea! 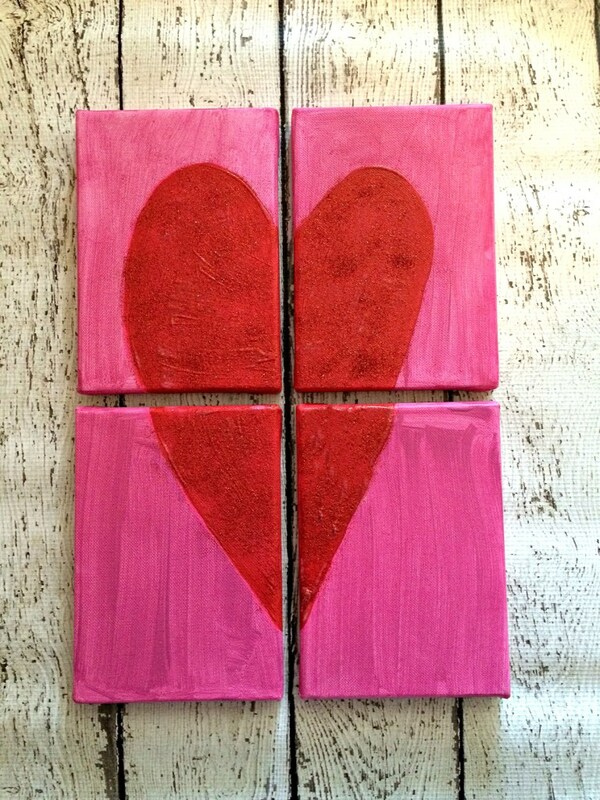 I love these heart canvases from Albion Gould. 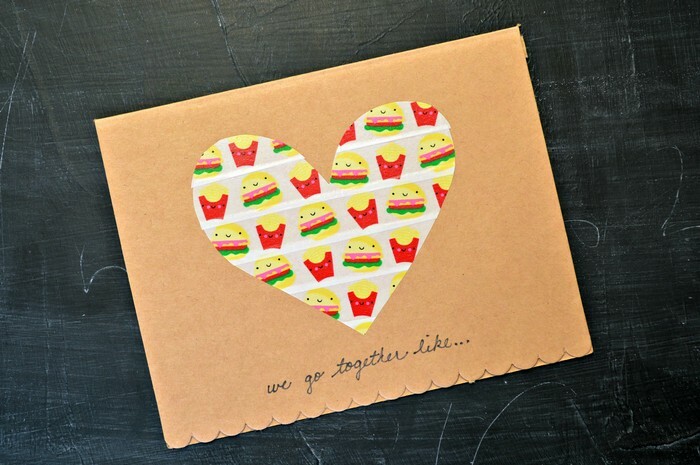 Let Mad in Crafts show you how to make this super simple Valentine’s Day card. 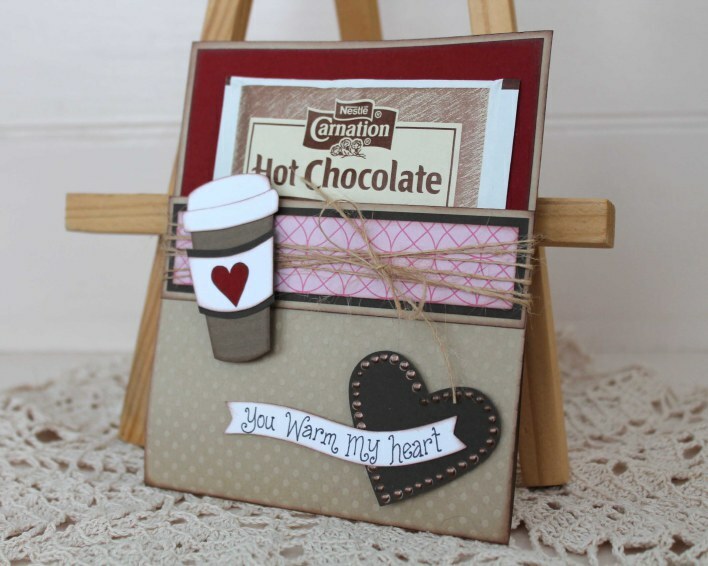 Scrappy Chick is sharing this fun hot chocolate Valentine’s Day card. 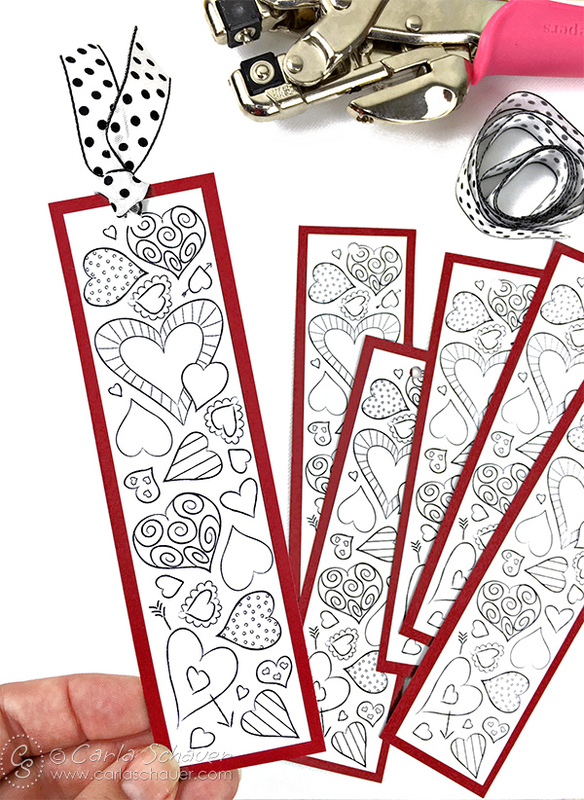 I am in love with these color your own bookmarks from Carla Schauer. 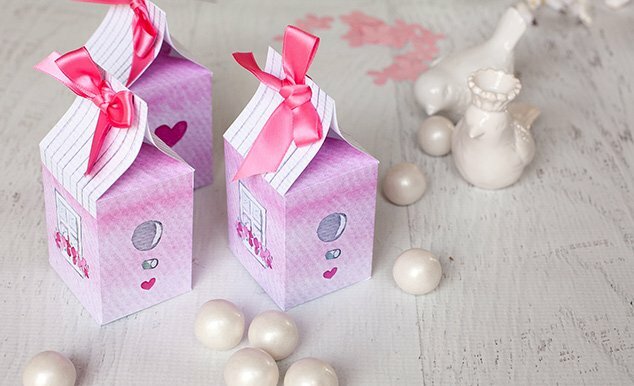 Let Frog Prince Paperie show you how to make these cute bird house themed treat boxes. 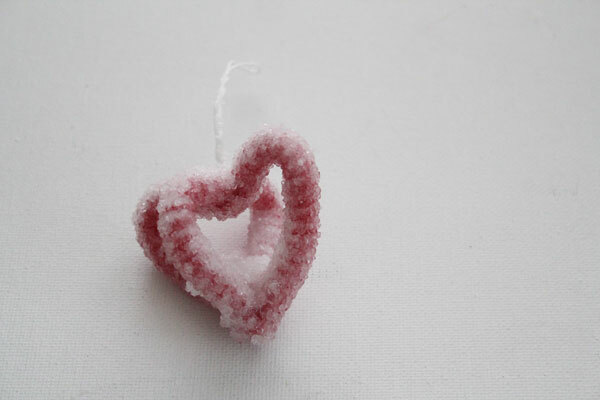 My co-host for this series is 30 Minute Crafts and she is sharing a fun project for Borax crystal hearts. 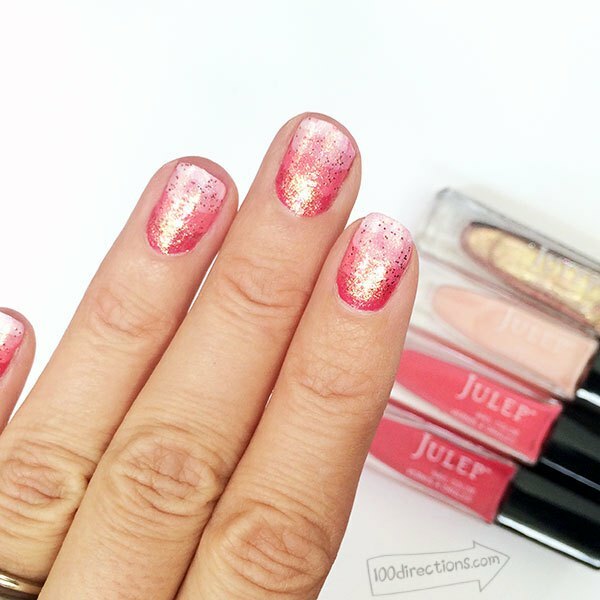 Our guest co-host is 100 Directions and she is sharing how to do this painted ombre nail art. What a great round-up of projects again Angie! Craft Lightning never fails to deliver great fast projects for all interests and ages. I am already gathering materials and ingredients for the Borax crystal hearts and milk bath. Thanks for all the hard work you do to host such fantastic round ups. LOVE theses emoji bags! Can’t wait to make them. SOOOO many cute ideas here. Thanks! 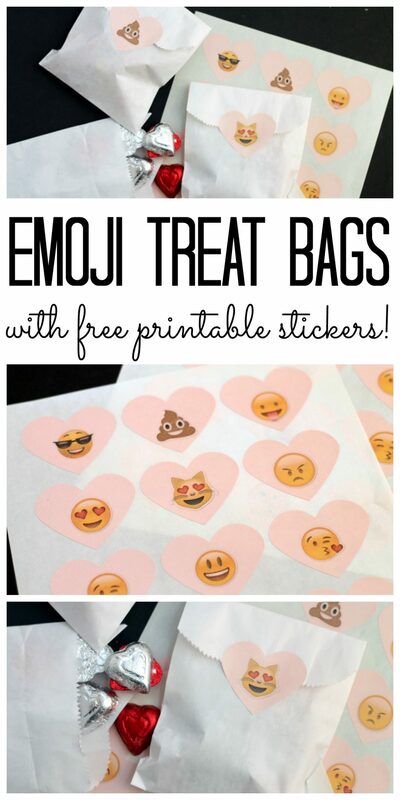 The Emoji treat bags are such a great idea! You are very crafty, I am impressed! These are so fun! You can stick them to anything, not just treat bags 🙂 Pinned and sharing!